Welcome to Vintage American Football! On August 23rd, 2015 the first Vintage American Football game was played at Douglas Park in Rock Island Illinois. On that day Vintage American Football was born. The same site also hosted the first game involving a team from the newly formed NFL (95 years earlier). The game itself was a mix between 1920's American Football and modern day Flag Football. 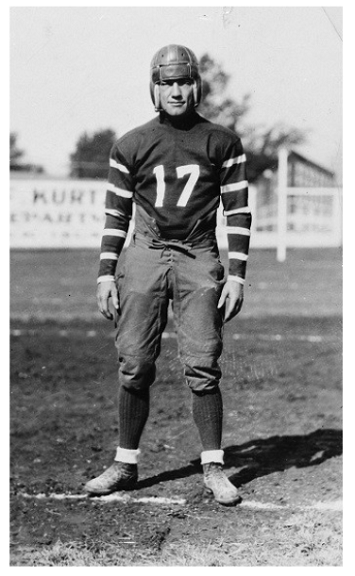 The two teams used a replica Melon football, replica uniforms & equipment and rules similar to those used in 1920. *To entertain and educate the community by playing a game that (from their perspective) had the look and feel of a 1920s game. *To create a game that from the players' standpoint was safe, challenging and fun but required the use of the same rules and strategies used in 1920's football. May not link directly on Mobile Devices.